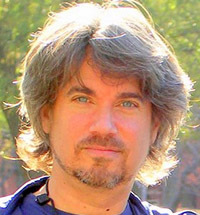 Robby Benson, actor, writer, composer, songwriter, award-winning star of Broadway, film, and the small screen, is now a highly-esteemed professor of film studies at New York University. He started acting at age 10 and has since starred in such films as Ice Castles, Ode to Billy Joe, One on One, and was the voice of The Beast in Disney’s Beauty and the Beast. Benson’s Broadway credits include The Pirates of Penzance, Zelda, and The Rothchilds. In 1993, Benson had his network directing debut with eight episodes of the hit comedy Evening Shade, and five of the first Bright/Kauffman/Crane network efforts for CBS called Family Album. He has since directed over 100 episodes of sitcoms including an entire season of Ellen. 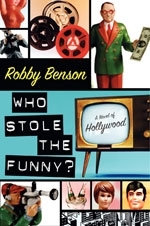 Benson makes his literary debut with Who Stole the Funny? (HarperCollins). Benson has been a sought after speaker about overcoming life-threatening illnesses having had three open-heart surgeries since the age of 28. He wrote and composed a musical on the subject, Open Heart, which debuted off-Broadway and continues to play in concert versions around the country. Benson is the recipient of the premiere Heart of a Child Award for the 21st century, along with famed UCLA Heart Surgeon, Hillel Lax. The Heart of a Child Foundation is dedicated to furthering research and treatment for congenital heart defects. Benson has spoken on behalf of the National Institute of Health before the Senate Appropriations Committee in Washington, D.C. for heart research funding. Representing the American Heart Association, he has spoken on behalf of the successful bill to ban the promotion of cigarettes to minors (Ted Kennedy/Orrin Hatch) along with Surgeon General C. Everett Koop. In Columbia, South Carolina, he supported The Richland Memorial Children’s Hospital and the U.S.C. Department of Pediatrics where he established the benefit Robby Benson’s Hoops for Hope. He is the national spokesperson for the Batten Disease Support and Research Association, raising awareness of the rare fatal genetic neurological disorder in children. He has served as board chairman of the internationally known charity for mentally challenged performers, The Famous People Players (Toronto). He is the spokesman and Co-Chair for The Cupids Cup 5K race which benefits cardiovascular patients in need who are lacking in funds and/or insurance. He lives in both the Blue Ridge Mountains and New York City with his wife, singer Karla DeVito, and their two children, Lyric and Zephyr.